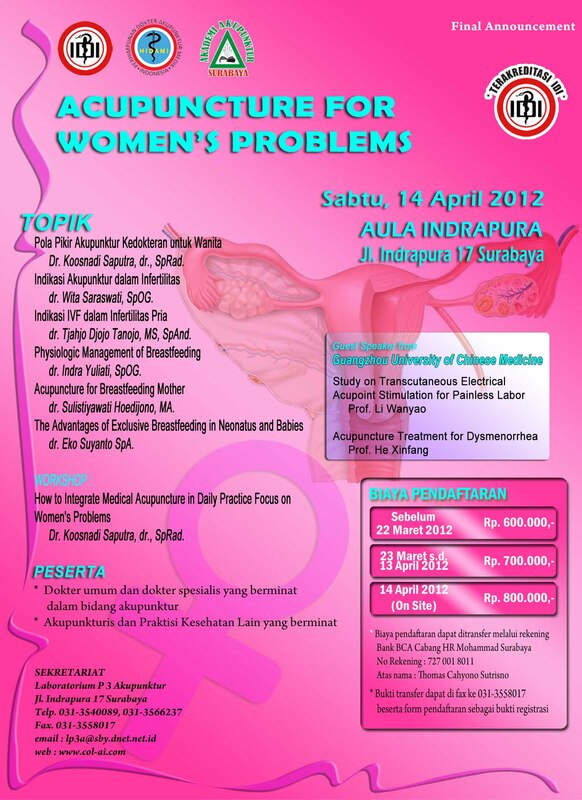 12 tanggapan terhadap "Seminar dan Workshop Acupuncture for Woman Problem"
blog and will often come back very soon. I want to encourage you continue your great work, have a nice afternoon! now not positioning this publish higher! Howdy very nice blog!! Guy .. Beautiful .. Amazing .. I'll bookmark your web site and take the feeds additionally?